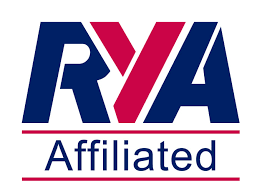 Maylandsea Bay provides a safe and convenient facility from which to operate a small cruiser, it is particularly useful for the sailing family where there are children wishing to sail their own dinghies. The Club has a very active fleet of Pico’s. The facilities the Club offers, which are operated on a self help basis, include drying moorings, laying-up facilities, tender and trailer storage for small cruisers up to 26ft. Additionally cruisers up to 1 metric ton (approximately 21ft) can be launched and recovered by winch on our main ramp. Alternative berthing and moorings can be obtained from the adjacent Blackwater Marina. The annual sailing programme includes launch and recovery days for the cruiser and Sandhoppers plus a number of short day cruises are organised.